Situated in beautiful Shropshire, it was originally called the Severn Gorge after the mighty river that flows down the valley towards the Bristol Channel. But us wee humans have come along and given birth to the industrial revolution in this geological cradle and turned it into an industrial nebula. It is now named after the first iron bridge of its kind in the world, built in 1779 to link the industrial town of Broseley with the mining town of Madeley and the growing industrial centre of Coalbrookdale. Why the Severn Gorge? Well, there are two main reasons; raw materials and transportation. The raw materials, coal, iron ore, limestone and clay are all naturally occurring in the ground in the valley region, which are necessary for the manufacture of iron, tiles and porcelain. And of course that deep and wide river allowed easy transportation of products to the seas and around the world! The third reason that it all happened here was because of the people – a coming together of pioneering minds. All risk-takers and experimental in their field. We have whole dynasties of families taking over mining or iron working etc, building upon the advances of previous generations. Close alliances were made and broken and money came and went. The Darby's, the Anstice's, Reynolds', Telford, Heslop, Wilkinson, Gower, Jessop! There are so many...... 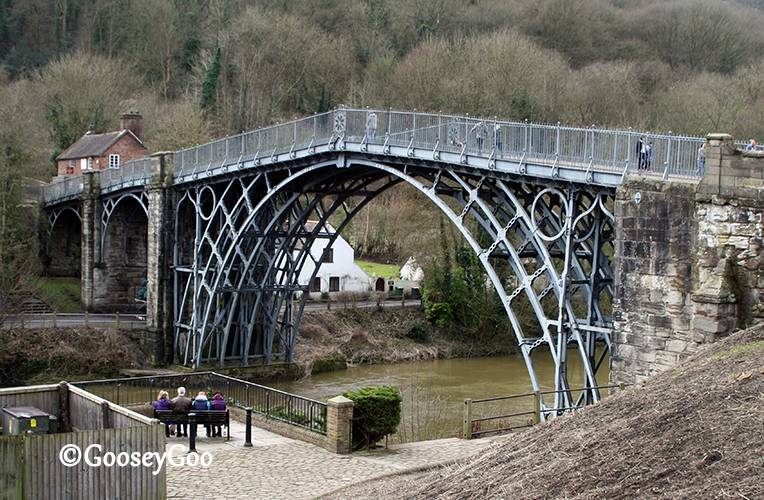 The area is run brilliantly by the Ironbridge Gorge Museum Trust and boasts 10 associated museums within the designated World Heritage Site! The Trust also runs the Ironbridge Institute in Coalbrookdale, a centre offering postgraduate and professional courses in heritage, in partnership with the University of Birmingham.